Congratulations to our Vice President of Field Services, Jeff Adams, for being named The NEWS’ 2016 Best Trainer winner! Jeff was exposed to the HVAC industry at a very young age when his father brought him on job sites to help as his ‘unpaid assistant’. 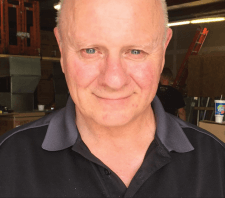 These experiences led him to enroll in a vocational school, begin a career in HVAC in Dayton, and eventually start his own company in 1982. After selling his company to Logan Services in 2008, Jeff stayed on to pursue a passion for training and teaching, which has led him to be our Vice President of Field Services. Today, Jeff oversees both our service and installation department. Through the training programs he has set in place and implements at Logan Services, we continue to see the already outstanding quality of our service and customer satisfaction improve year after year. Thank you for all of your hard work and dedication, Jeff, and congratulations for being recognized as this year’s Best Trainer!